The Faculty of Law is pleased to welcome Brian Peebles to its administrative team. He took over the role of Assistant Dean (Strategic Planning) on October 9, 2018. Before joining McGill, Peebles worked as Legal Counsel for the public sector team of technology multinational Oracle, in Toronto. 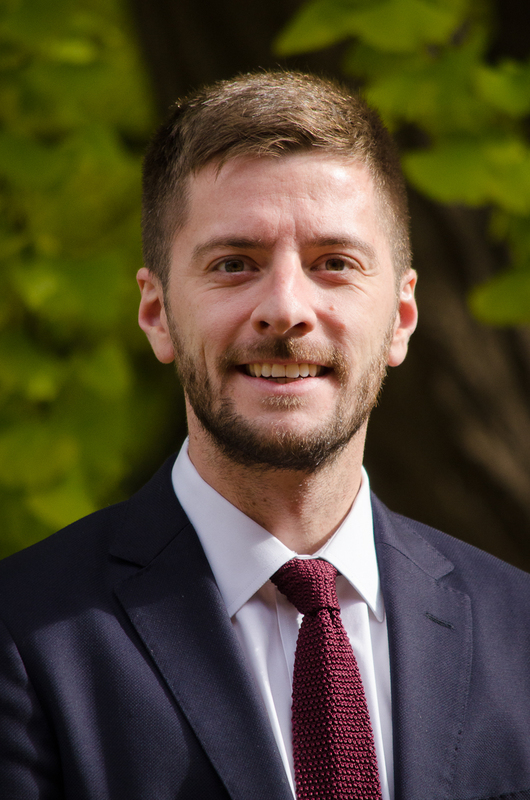 He has completed a BA in Political Science at McGill and worked for the Institute for Research on Public Policy before completing joint JD and LLL degrees at the University of Ottawa and articling at Norton Rose Fulbright. As Assistant Dean (Strategic Planning), Peebles will work closely with the Dean, and provide leadership and expertise in advancing the development and implementation of the Faculty’s strategic initiatives, and balancing the Faculty’s administrative, academic and professional dimensions. He will also oversee the Faculty’s communication team. He replaces Véronique Bélanger, who was promoted this summer to Chief of Staff for Professor Suzanne Fortier, Principal and Vice-Chancellor of McGill University. Please join us in welcoming our newest colleague!